Changing MO LLC has led a mixture of projects. While some of which cannot be mentioned due to confidentiality, the following assignments can be highlighted. How to create an exceptional personal brand conference presentation at The World Executive Search Congress in Las Vegas, March 9-10, 2015. Why simply the best isn't always right, according to WPP's TNS. The firm delved into this subject by undertaking an in-depth survey of over 40,000 customers across 20 countries which showed relationships being eroded even in traditionally 'sticky' sectors. Changing MO augmented this quantitative study with a number of one-on-one interviews with CMOs from a broad spectrum of global brands, the results of which were released in April 2014. 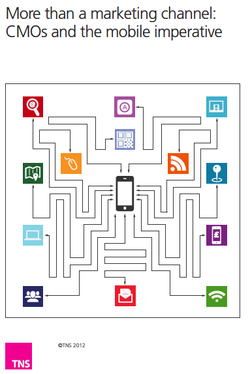 Digital Life is a global study by WPP’s TNS into the attitudes and behaviors of the world’s consumers online. The study, which is based on over 72,000 in-depth interviews with people in 60 countries, provides the most comprehensive view of what people do online — and why they do it. TNS also wanted a qualitative viewpoint from CMOs, so Changing MO undertook a “Voice of the CMO” piece. This report was based on one-to-one interviews with CMOs from a range of international organizations. The opinions have been also used as qualitative guidance to the reporting and analysis of the Digital Life study from TNS. 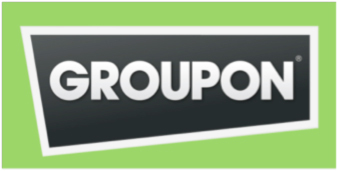 Working with partner Sociagility, Changing MO undertook a social media benchmarking project for Groupon in 2012, using Sociagility’s proprietary PRINT™ methodology overlaid with a qualitative analysis of Groupon within its competitive set. Changing MO created and delivered a four-hour "master class" designed to help PR executives work most effectively with marketing colleagues for the PRIA (Public Relations Institute of Australia) at the organization's annual conference in Sydney in October 2011. TNS Mobile Life is an investigation into the behaviors, motivations and priorities of the world's mobile phone users. It is based on 48,000 conversations in 58 countries, and is the most comprehensive view of how the world's consumers are using their phones today and the opportunities this presents for brands. Changing MO led a project to explore how leading marketers view mobile's impact on their brands and business growth strategies. The report, entitled "Connected World", was released October 18, 2012. MaryLee Sachs has organized various conferences for The Conference Board. As well, she launched the organization's Council for CMOs in January 2014, for which she remains Program Director, and she launched and was program director for the Social Media Council from 2012 through 2013.